We want to continue with our meetup despite the short month filled with long holidays and busyness of festive preparations. We will have our book club in the fourth week of July, fully aware that some of you might have just arrived back in town. This month's theme is very exciting! We'll be talking about music and cultures – a way to admit that we all have been influenced by them throughout our entire lives. As Billy Joel put it, "I think music in itself is healing. It's an explosive expression of humanity. It's something we are all touched by. No matter what culture we're from, everyone loves music." Expect to hear review on books like "Morrissey: Autobiography" written by the-one-and-only Morrissey, "Telegraph Avenue" written by Michael Chabon, "The History of Jazz" written by Ted Gioia, "The Untold Stories of Broadway" written by Jennifer Ashley Tepper, and more (to be updated). 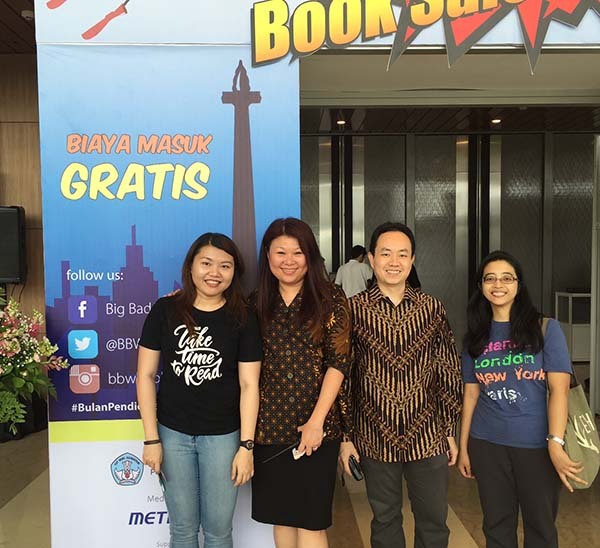 Jakarta Book Club currently hosts free monthly events that are regularly announced on Meetup.com. For more information and RSVP, go to this page or contact us at officers@jakartabookclub.com.